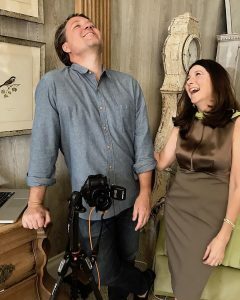 A native of Tacoma Park, Maryland and now long-time resident of Dallas, Texas, Kristin Mullen shares a lifelong passion and commitment to interior design, the skills of which were developed from a mother who had a voracious appetite for interpreting emerging design trends in the family home. Not until she moved to London, where classical architecture and timeless interiors captured her imagination, did design truly become an integral part of her life. Kristin studied at Northwestern University and New York University, graduating with a degree in Speech and Language Pathology and a minor in Theater. She dove fully into the design world while collaborating with a prominent local architectural firm on the interior of her own home. Soon thereafter she was approached to design a friend’s home and Curated by Kristin Mullen was formed. Bunny Williams, Charlotte Moss and David Easton continue to inspire as do the talents of Barbara Westbrooke and J. Randall Powers – all designers that create interiors which are classic in nature and elegant in appearance. Kristin’s own innate talent has evolved through the study of these icons of the design industry. Color plays a key role in Kristin’s interiors. “Strong colors will dictate how many layers one needs, whereas a neutral palette will allow for more layering before one’s eye tires,” remarks Kristin. Whimsy too has been a playful part of her aesthetic, but the goal is to create timeless interiors that speak to each individual client’s lifestyle, with sensitivity to the architecture. Kristin attributes her style to the travels and places she has lived throughout America, England, Europe and Asia, and to time spent in historic homes, palaces and museums, all of which have had measurable impact. Her aesthetic is timeless, rooted in classic principles and leavened by a willingness to introduce modern elements and a touch of whimsy. You see it in her interiors and in her Dallas boutique, Curated by Kristin Mullen, which is an extension of her brand. The store is brimming with one of a kind finds, from European furnishings to art and decorative accessories some of which are crafted by local artisans, all artfully gathered and beautifully presented.